Today's Image of Mars is a dramatic example of a crater's slope streaks, as taken by HiRISE. 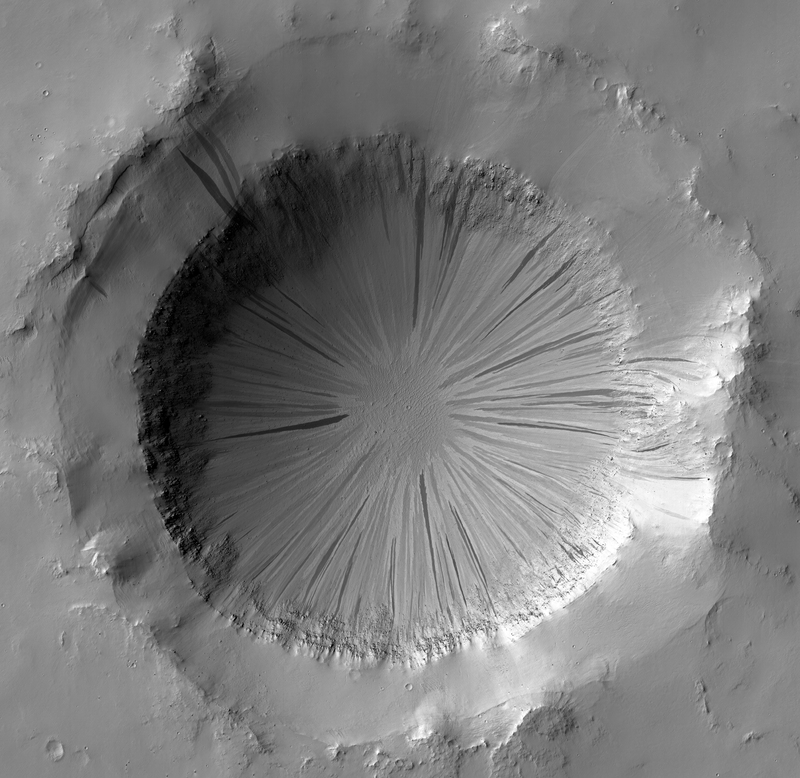 Slope streaks often form in craters when dust and small rocks tumble down the side, but it isn't very often that we see a crater exhibiting so many well preserved streaks around its entire circumference. Clicking on the image will take you to the original high resolution image from HiRISE. When you check it out you will see that the slope streaks are of varying shades, which indicates that the crater went through numerous episodes of streak formation.